How to Listen Like a Pro. Can professionals really hear the difference between file formats and analog and digital recordings? Hearing unwanted artefacts in both analog and digital audio is an acquired skill, much like bush tracking. In order to track and find a particular animal in the bush you need to study its habitat, feeding habits, social rituals, breeding season, migratory patterns, and what it sounds like – to name but a few. The average listener is a tourist in a game park driving themselves around without a professional guide. They will see a small fraction of the animals in the park, mainly the obvious and populous ones, but still have a rewarding experience. The tourist will stop to gaze at gazelle, but fail to see a leopard watching from a tree just to the right of the herd. This is not because they have bad eyes, but because they aren’t trained to look for where a leopard is likely to be, and a leopard is really good at blending into the scenery around it – unless you know how to spot one. 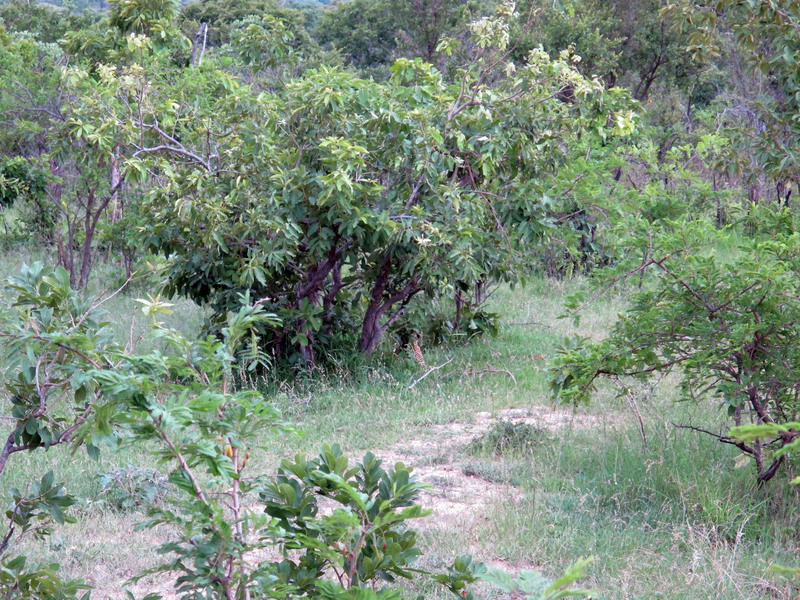 Spotting the leopard in this photo might take some a few minutes, others a few seconds – the trick is to try and unsee it once you know where it is. Listening for audio artefacts is like looking for a leopard with your ears instead of your eyes. Audio engineers, mix engineers and some audiophiles are not only trained to look out for and understand the big animals of audio1 and their behaviour2, but also to notice little things that others would most certainly overlook; particular animal behaviour indicating danger, the flow of fauna promising predators nearby, or a small detail worth mentioning purely out of interest. Like bush guides trained to read spoor and droppings, audio engineers train themselves to check the places and spaces where audio artefacts are most likely to hide, and once you know where and how to listen, audio artefacts can become quite obvious, and very distracting. This is why some professionals and audiophiles spend a lot of time, energy and money to mitigate or avoid these artefacts. To us they are sometimes so obvious we cannot imagine that no one can see the leopard in the tree just to the right of the gazelles, no the other gazelle, the one next to the bush, the other bush, just below the branch sticking out, there! His tail twitched did you see it? No? Wait. Sit here. Follow my finger, see that shadow, the one under the tree to the left? There his tail flicked. Twice! No? Isn’t that just a fern? No really, he is right there, waiting to pounce. In all seriousness though, time and time again it has been shown that it is impossible to hear “big differences” between 24/96, 16/44.1, and 320kbps mp3 audio formats3, but, that said, it is possible to hear some forms of artefact such as aliasing, and clip distortion – if you know where they lurk. 1. The Big Five on the Audio Safari are Drums, Bass, Guitars, Vocals and Keys. Can’t see the leopard at all? It’s to the right of the bush in the centre of the photograph. « Does Gain Change the Size of an Audio File?